VIZ Media continues the drive into fall with the announcement of an array of digital manga updates and new series debuts for November. Fans and readers can catch today’s launch of two new series debuts including creator Aya Shouoto’s paranormal shojo drama, KISS OF THE ROSE PRINCESS and the final volume of NEON GENESIS EVANGELION. Other notable new digital series kicking off throughout the rest of the month include 3 titles from the VIZ Select imprint. Return to the world of CHIBI VAMPIRE with CHIBI VAMPIRE AIRMAIL on November 11th, savor the dark, demonic suspense of ZONE-00, which launches on November 18th, and former CLAMP artist/creator Tamayo Akiyama’s fantasy adventure series, MOURYOU KIDEN: LEGEND OF THE NYMPH, follows November 25th. Fans are invited to take advantage of a limited time promotion running until November 30th offering up to 80% of on digital manga volumes from several acclaimed series from VIZ Manga and the VIZ Manga App. Check other partner sites for similar special pricing. 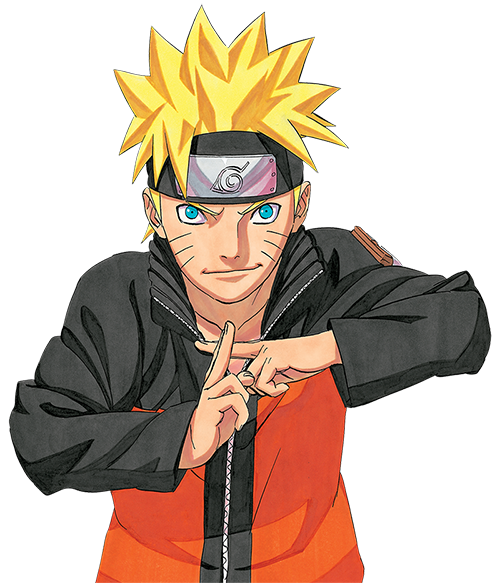 Catch NARUTO Vols. 1-2 for only $1.99 each and Vols. 3-67 for only $4.99 each. Savor undead gothic manga drama with VAMPIRE KNIGHT Vols. 1-2 for only $1.99 each and Vols. 3-19 for only $4.99 each. ROSARIO + VAMPIRE SEASON I Vols. 1-2 are $1.99 each and Vols. 3-10 are available for $4.99 each; the series sequel, ROSARIO + VAMPIRE II, Vols. 1-2 are also offered for only $1.99 each and Vols. 3-13 for only $4.99 each. Also dive into the mafia comedy adventure NISEKOI with Vols. 1-2 for only $1.99 each and Vols. 3-9 for only $4.99. VIZ Media is also pleased to announce a new addition on ComiXology from fellow publisher Kadokawa. Don’t miss exciting series including DEADMAN WONDERLAND and NEON GENESIS EVANGELION as well AI ORE, THE STORY OF SAIUNKOKU, and X that are accessible worldwide and/or wherever ComiXology is available. Also dive into more than a dozen additional manga titles also offered on ComiXology and published under the VIZ Select imprint such as CHIBI VAMPIRE, D.N. ANGEL, FATE/STAY NIGHT, FUTURE DIARY, LUCKY STAR, THE GIRL WHO LEAPT THROUGH TIME, LAGOON ENGINE, SUKI and more! Catch the rest of the November digital updates to more than 20 other VIZ Media continuing titles including the exciting series finales of PHANTOM THIEF JEANNE (Vol. 5), MILLION TEARS (Vol. 2) and SUKI (Vol. 3), as well as the latest additions to a variety of other popular series such as BLEACH (Vol. 62), BLUE EXORCIST (Vol. 12), FOOD WARS! (Vol. 4), JOJO’S BIZARRE ADVENTURE: PART 1 – PHANTOM BLOOD (Vol. 2), LUCKY STAR (Vol. 5), ONE-PUNCH MAN (Vol. 5), TRINITY BLOOD (Vol. 9) and scores more. Readers can enjoy all of these new manga titles that are available on VIZManga.com and the VIZ MANGA App for the iPad®, iPhone® and iPod® touch, Android-powered smart phones and 7” tablets. The titles may also be purchased through the Nook, Kindle, Kobo, ComiXology, iBooks and GooglePlay stores. These dynamic digital platforms offer fans the opportunity to explore and enjoy a massive catalog of new and classic manga titles that spans more than 2,300 volumes across over 200 different series. DIGITAL MSRP: $4.99 (U.S. / CAN)· Available November 11th! Return to the world of CHIBI VAMPIRE in this special collection of short stories! DIGITAL MSRP: $4.99 (U.S. / CAN)· Available November 18th! In a world where humans and demons coexist under a fragile peace, change is coming...A mysterious drug, known only as "Zone-00," seems to be causing demons all over Tokyo to lose control and revert to their old, violent ways. Enter two young students who stand on opposite sides of an ageless conflict. One a demon, the other an exorcist, they must now join forces to uncover the secret of "Zone-00" before it's too late! From the artist of Trinity Blood comes a dark, suspenseful tale in which two centuries-old enemies must fight together to save humanity! DIGITAL MSRP: $4.99 (U.S. / CAN) · Available November 25th! In a land submerged in a thousand years of fog, demons and nymphs do battle. Until one day, the fated meeting of sworn enemies unravels an intricate love story, and hurls Ayaka, the daughter of the deity, Reiki, into a voyage of discovery, and maddening love. Originally a member of CLAMP, the world's bestselling manga studio, Tamayo Akiyama delivers and unforgettable fantasy adventure! NEON GENESIS EVANGELION, Vol. 14 (SERIES FINALE! )· Rated ‘T+’ for Older Teens· DIGITAL MSRP: $6.99 (U.S. / CAN) · Available November 25th! Catch the grand finale to this groundbreaking sci-fi action series. The Third Impact has come. As the unbelievably massive form of Ayanami towers over the Earth, the Instrumentality Project enters its last stages. While the world shudders in terror as it is engulfed in a sea of LCL, Shinji’s consciousness merges with Lilith’s, and he searches his memories for a final understanding of himself and the fate of humanity. Digital edition also includes a special chapter not previously published! Print edition will be released in early 2015. All manga volumes are available for purchase and download in the U.S. and Canada within the VIZ Manga application starting from only $4.99 (U.S. / CAN) each and readers can also explore all titles with free Chapter 1 previews of every series. For more information, please visit VIZManga.com or www.VIZ.com/apps.